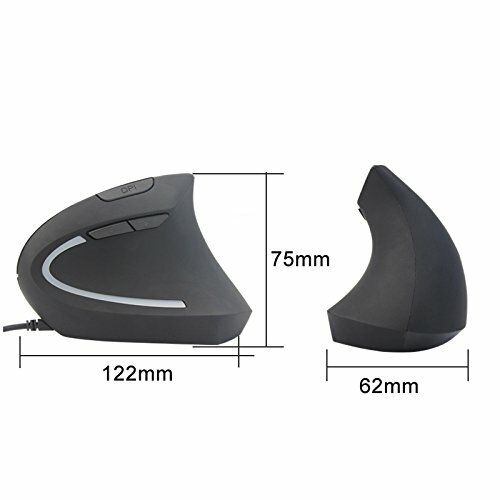 If you spend a lot of time on the computer, this mouse is for you. Our vertical mouse can help prevent injuries associated with the prolonged use of regular mice as they allow your hands to remain in a more natural position. It also features a DPI switch so it can adapt to your needs, and its wheel is made of a tempered ABS material, which makes it more resistant than the regular plastic used on other mice.